The Attentionology Shop offers ready-to-use attention catching tools, bulletin board kits, activity masters, and other classroom tested products to help you save time. Items will be added periodically so be sure to check back soon! 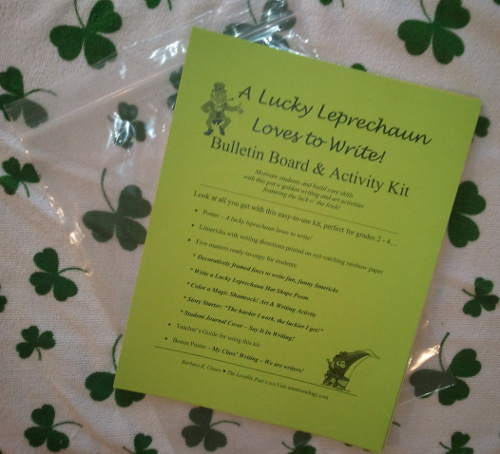 Perfect for grades 2 – 4, this fun, easy-to-use kit is a pot o’ golden writing and art activities! 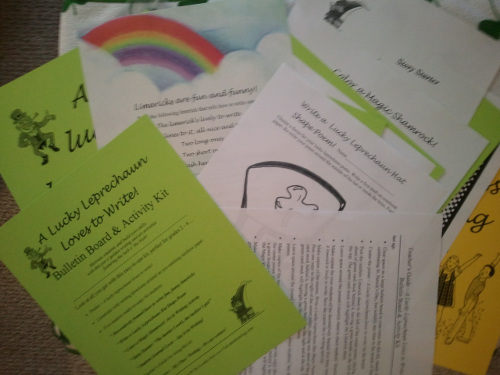 Kit includes 5 original Irish-themed ready-to-copy masters, colorful green cardstock, posters, funny poems and story starter with a message that a leprechaun’s luck comes from hard work! Teacher’s Guide offers set-up steps and suggested activities to motivate students and build core skills.